What Does a New Air Conditioner Cost? 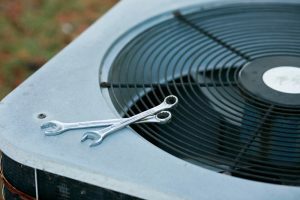 As the temperatures rise and summer approaches, many homeowners are prepping their air conditioners for the months ahead, by scheduling routine maintenance. What if your air conditioner seems like it’s not ready for another cooling season, though? Could it be time for a new AC? If the answer is yes, then your next question is very likely going to be, “how much does a Nichols Hills, OK air conditioner installation cost?” This is a logical question, and we wish we had a quick answer for you. But the truth is, it depends. 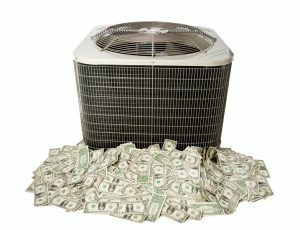 Posted in Air Conditioning | Comments Off on What Does a New Air Conditioner Cost? AC Troubles: Is It Time to Repair or Replace? With temperatures still on the mild side, now is the perfect time to assess how well your air conditioner is working and whether or not it’s ready for the warmer weather ahead. If you do indeed decide it’s time for a replacement, now is a great time to look at your various options and consider if you want to upgrade your current system or switch to a different type of air conditioner. We understand how big of a decision this is. For the average homeowner, the purchase of a new cooling system is a major investment, and you’ll want to make sure you get the best return on that investment, especially considering how much you’ve likely spend on repairs for your aging cooling system already. Keep reading to learn more about when to opt out on repairs and instead invest in an Edmond, OK air conditioning replacement. Posted in Air Conditioning | Comments Off on AC Troubles: Is It Time to Repair or Replace?